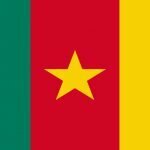 Recruitment of 425 High School Teachers 2019-2020 MINESEC Cameroon professional concours. Accueil » Entrance Exams » Recruitment of 425 High School Teachers 2019-2020 MINESEC Cameroon professional concours. Recruitment of 425 High School Teachers 2019-2020 MINESEC. 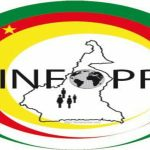 Entrance Recruitment of 425 High School Teachers 2019-2020 MINESEC Cameroon professional concours MINFOPRA. ORDER N° 005033 / KAMERPOWER / MINFOPRA OF 25 October 2018. Mindful of decree No. 2011/408 of 9 December 2011 to organize the Government. kamerpower.com Recruitment of 425 High School Teachers 2019-2020. Mindful of decree No. 2000/696/PM of 13 September 2000 to lay down the General Rules and Regulations for Government Competitive Examinations. I have DIPES 1 in Geography from private ENS Bambili,am I eligible? I have been serving with the private institution am i leligible? where are candidate who are eligible for this jobs trained? in some private institution or from the universities. who exactly is eligible for this job. depes 1 holders? who? Great job kamerpower keep up with the good work .keep keeping us informed. please i wish to know the qualifications to be a high school teacher because i’m HND holder in Business Management i hope i’m not late please for more details. Great job kamerpower. Keep up the good work of keeping us informed. Please I had problems locating the syllabuses for the Pleg exams for secondary school teachers. Can someone help me out with the mathematics syllabus?